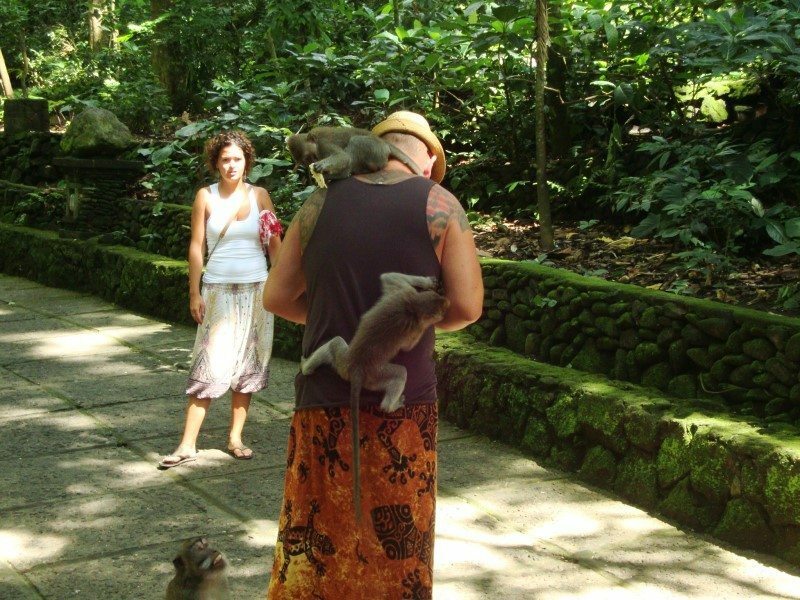 The visit of Monkey Forest in Bali will lead you to the different world – the world of monkeys. Probably the most touristy attraction in Bali, which could not be skipped while traveling in Bali. The Monkey Forest is one of the places, where monkeys live freely in the wild and visitors can get in the close touch with them (literally). If you want to survive this visit to enjoy your Bali holiday the most, read this blog and get ready for a blast! 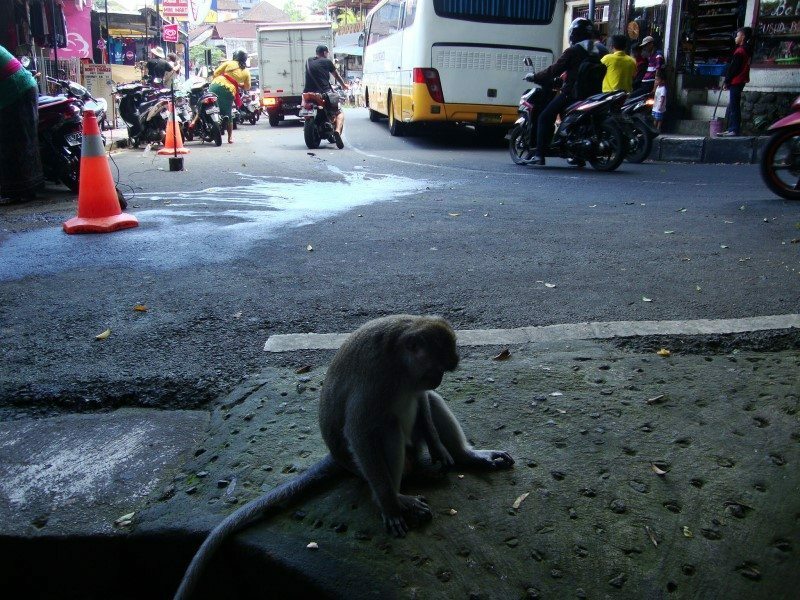 To visit Monkey forest you have to travel to the city of Ubud. Monkey forest is large complex of hind temples which have been built around 1359. Bali is well know because of its spectacular temples. 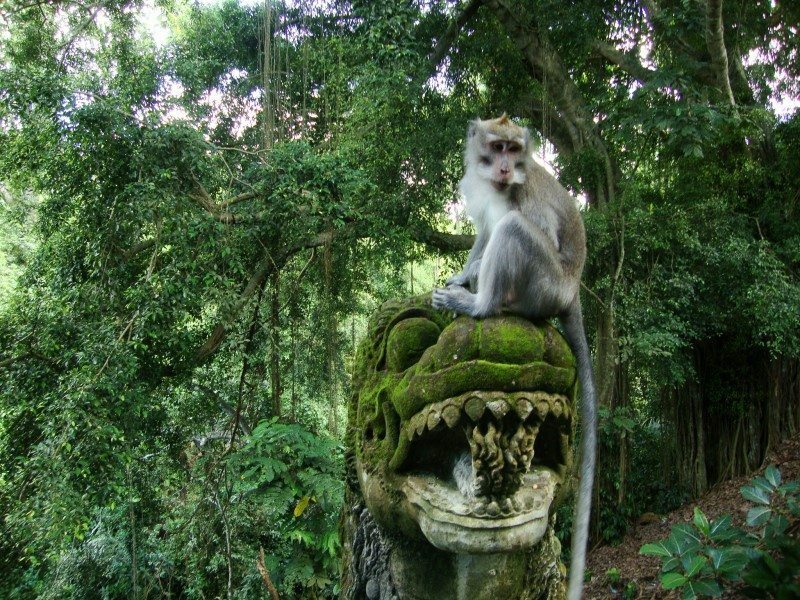 Monthly more than 10 thousands of visitors visit Monkey forest. The whole sanctuary place consist from the real jungle, temples, exotic plants and animals and many pavements. Those pavements lead people around the complex and the part of the trail goes through between large stones, by the creek and small waterfall. 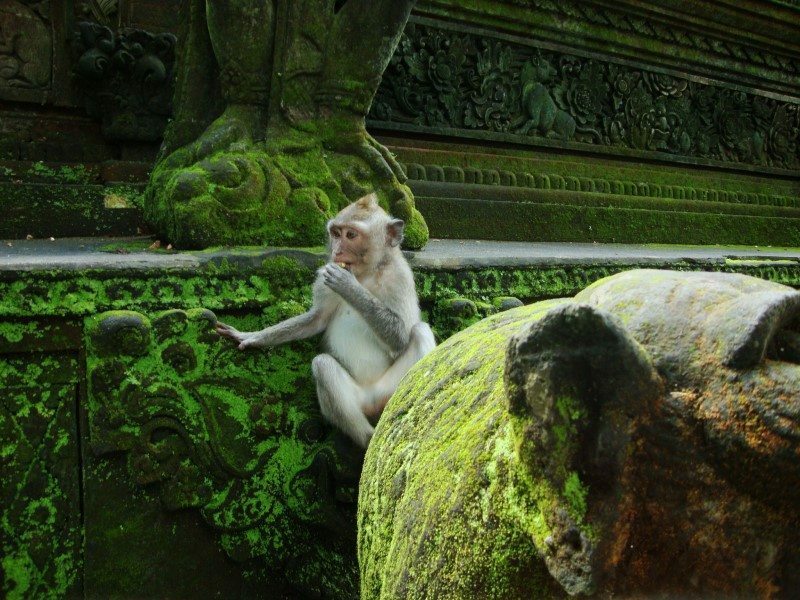 The Monkey forest in Bali is the example of beauty untouched by human. Even though the weather in Bali can be really hot, in the forest you feel fresh because of it micro clima. 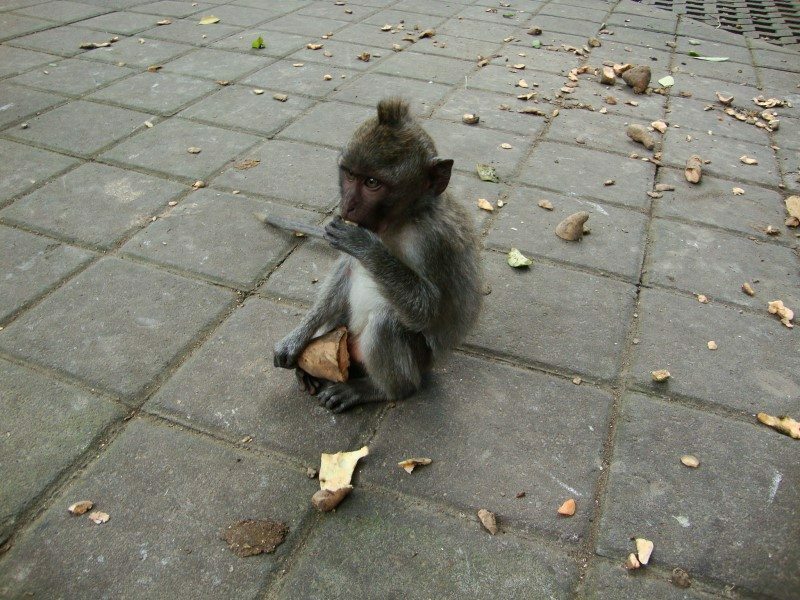 The Monkey forest is known worldwide and during my visit, there were Paris Hilton visiting, as well. I found that afterwards, from her Instagram profile. 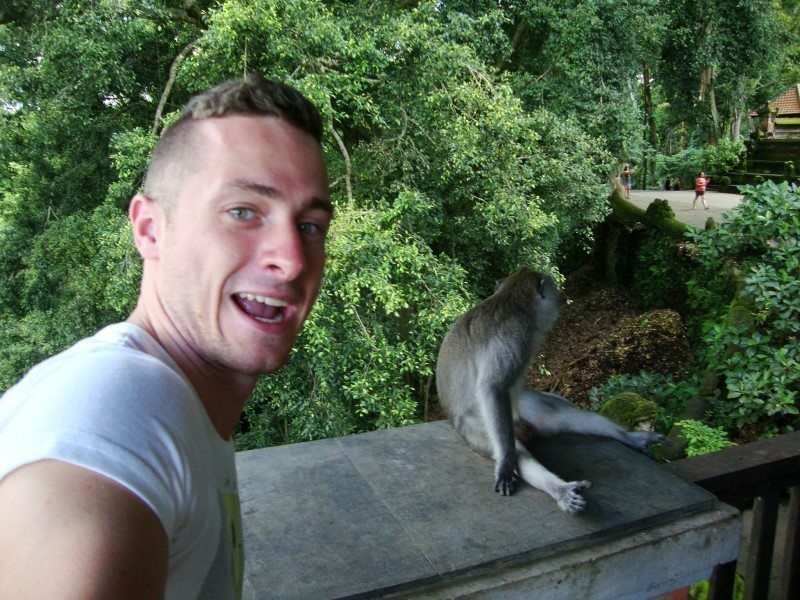 The admission fee to the Monkey forest cost 30 000 rupiah and you can stay there as long, as you wish (until they close up). 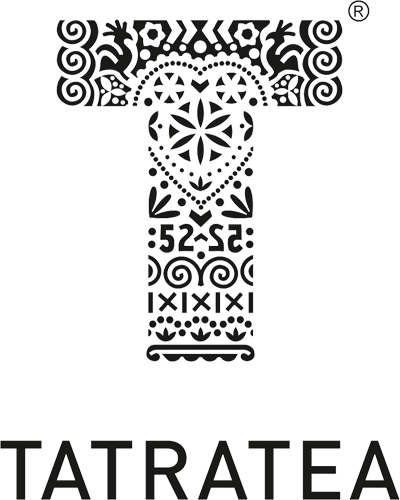 Opening hours start every day from 8:30 am and end at 6 pm. 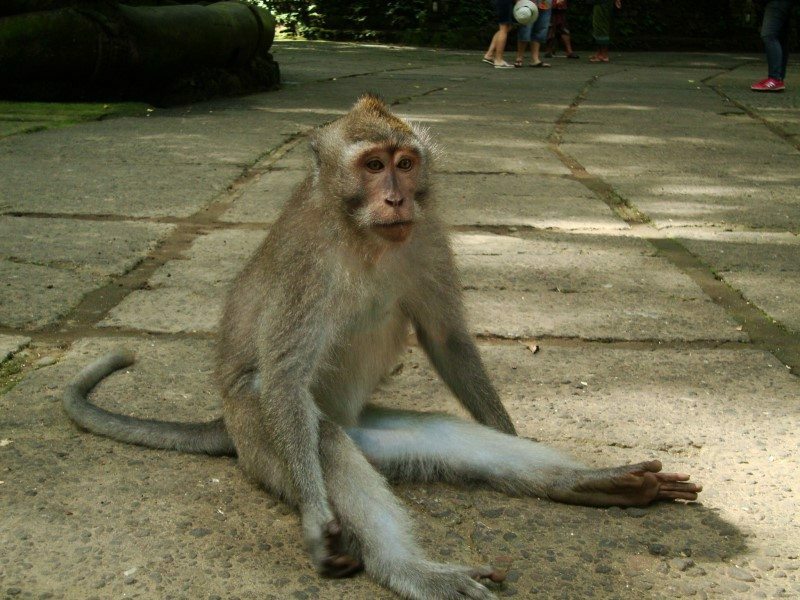 If you want to visit Monkey forest in Bali, you have to go to Ubud town, which is located in the southern part of island, around a hour drive from Denpassar city. 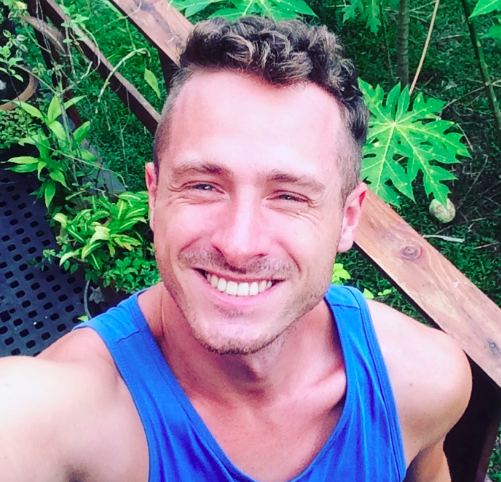 Ubud has pretty good location and from it, most of the Balinese temples can be reached from it. To the Monkey forest itself turn the Google maps on and navigate to Jl. Wenara Wana street. 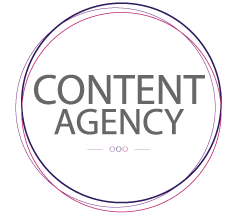 The entrance can be spotted easily and you will recognize it well. At least with the help of dozen monkeys sitting in front of the entrance ;) Just remember you are at the holy place, where locals pray, so act appropriate. Monkeys in the Monkey forest steal! To me, luckily they have not stolen anything, but they are not afraid of people, at all! At first, they may seem to look cute and fluffy (especially those little ones), but in real, they are monsters! They surround you and steal every piece of food you might have. I do not suggest you to bring some food (they smell it even from the bag). I was an eyewitnesses of an accident, where a monkey took the bottle of water from the girl from Japan and run away, towards to the bushes. The bottled water is relatively forgivable crime, but what if they took your iPhone? Would you run to get it back from that fluffy monkey? They are nice to look at, as they eat, play, massage each other or pull other monkeys tail to make it fall from the tree, but please, leave them alone. If you wish to touch them, pay to the stuff and they make monkey to sit on your head, or whatever. 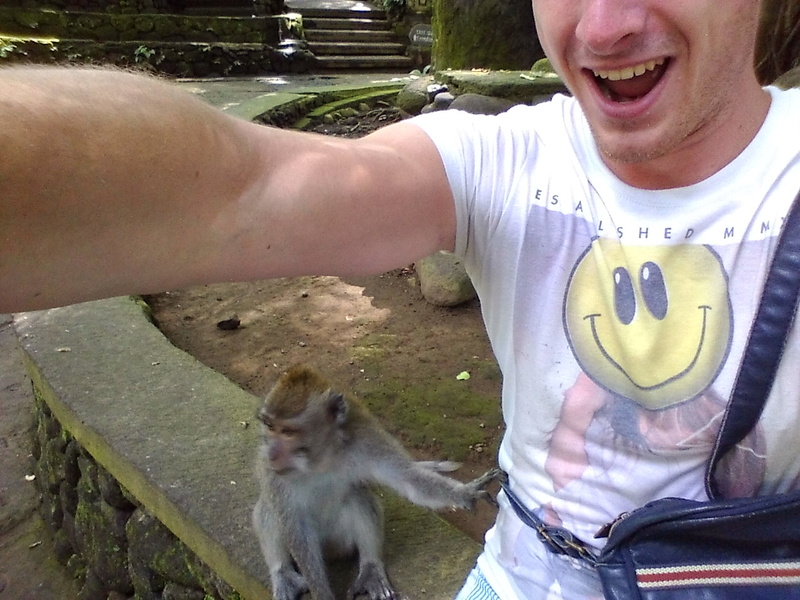 During my visit, one of the monkeys came to me and tried to open my bag. Luckily a stuff guy saw that and scared monkey, so it run away.